You've never done pull ups like these. 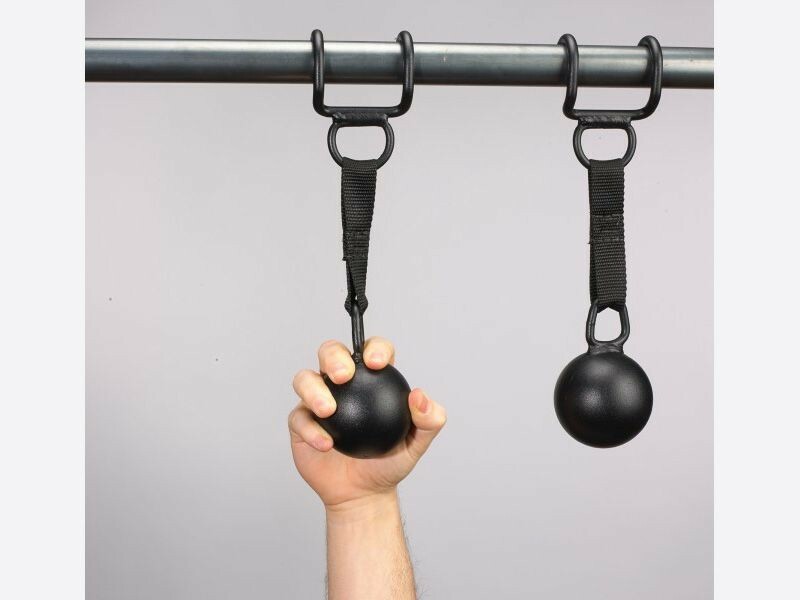 Grip these 3" balls for the ultimate pull up and grip workout. 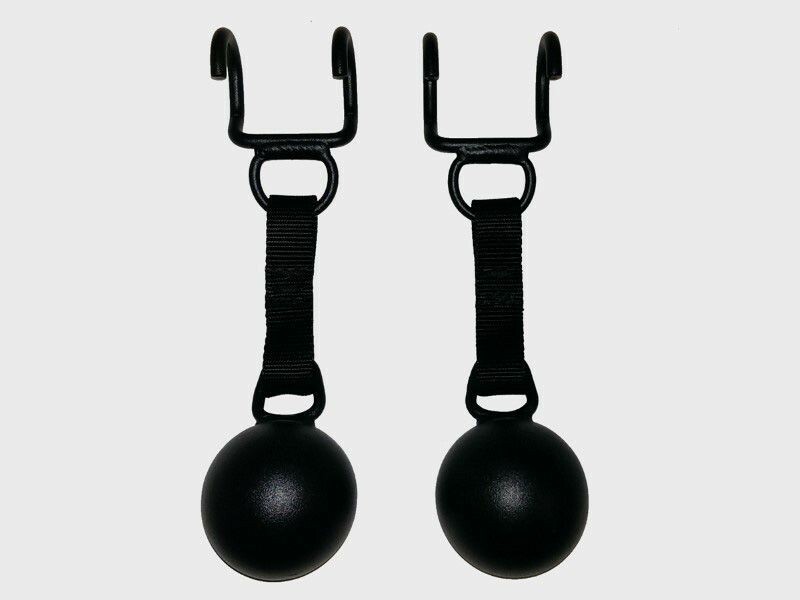 The hooks will fit over any 1" or 1 1/4" chin up bar. 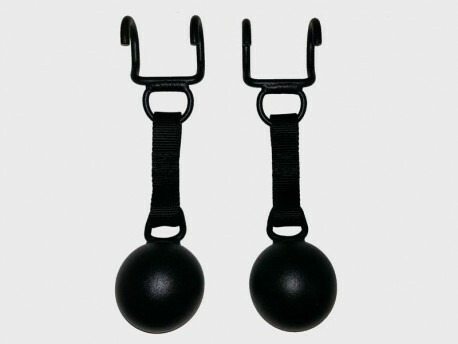 Add another exercise by attaching them to a cable machine. The clip will fit on the ring.